MET in a landmark collaboration with Michigan State University! Home > Campus News > MET in a landmark collaboration with Michigan State University! 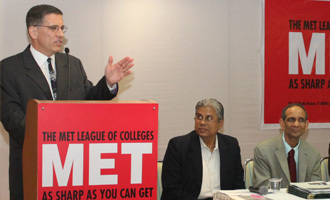 MET League of Colleges, India’s premier education institute has entered into a long-term partnership to foster international cooperation in higher education as well as technology transfer with USA’s prestigious Michigan State University (MSU).